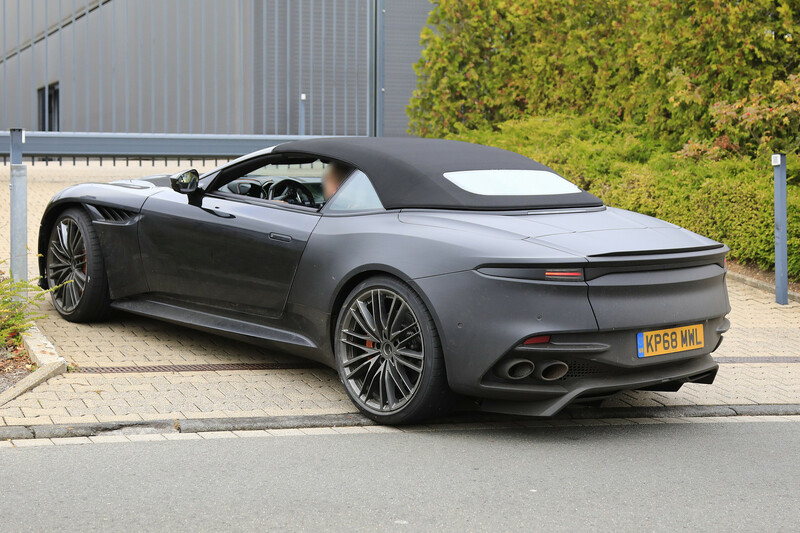 Spy shots for the Aston Martin DBS Superleggera Volante have surfaced. Traditionally, Aston Martin is quite brazen about testing its Volante models in public. They carry little camouflage and, as a result, it is quite easy to get a flavour for what the car will look like once it hits the market. 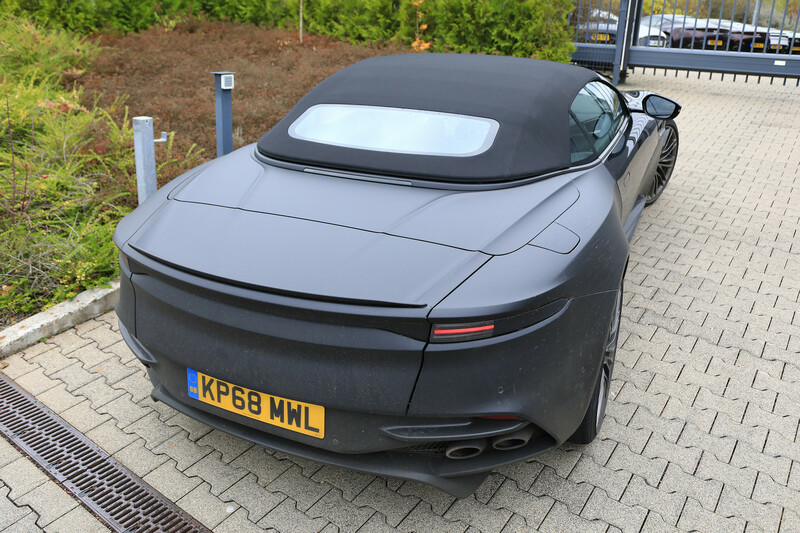 The photos show that the DBS Superleggera will get a traditional soft-top, much the same as Aston Martin’s other Volante models. 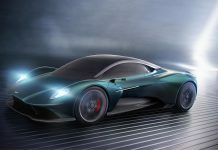 We expect it will debut at the Geneva Motor Show 2019, although that hasn’t yet been confirmed. 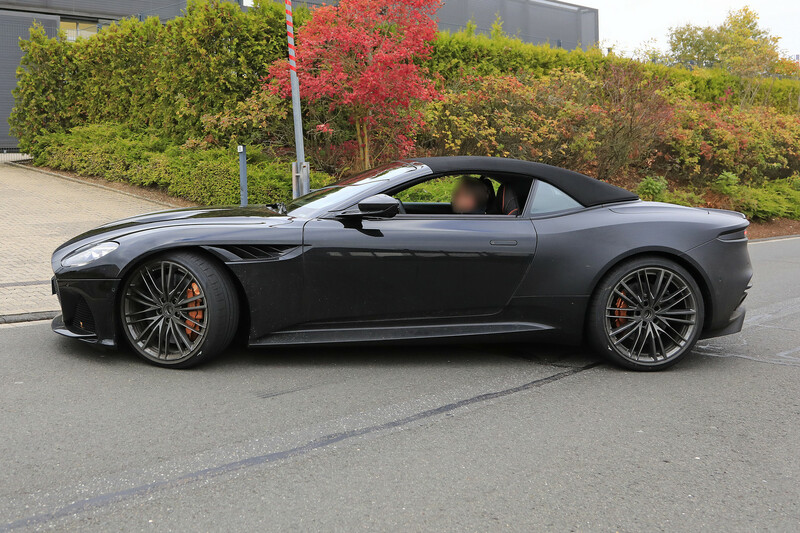 Design cues have been taken from the DB11 Volante. 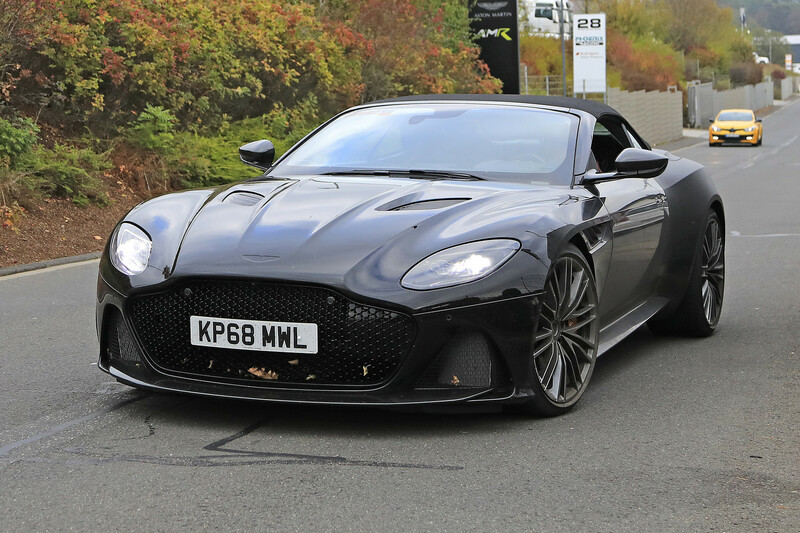 As the DBS sits higher in the market, it will get more aggressive aerodynamics with the front splitter, rear diffuser, active rear wing and bonnet vents all carried over from its Coupe counterpart. Under the bonnet, the Aston Martin DBS Superleggera Volante will share its engine with the Coupe. Its 5.2-litre twin-turbocharged V12 engine produces 725 hp and 900 Nm of torque. 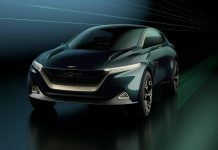 Expect 100 km/h sprints to take just over 3.2 seconds and the top speed to be just shy of the 340 km/h the Coupe manages. Next year will be extremely busy for Aston Martin. Following its IPO earlier this year, the company’s share price has deflated somewhat. 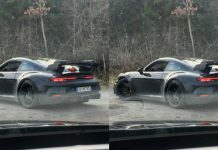 There is optimism that this will increase and for 2019, the company appears to be preparing the launch of three models. 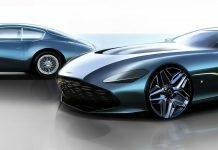 Alongside the DBS Superleggera Volante we are also expecting to see the Aston Martin DBX, Aston Martin’s take on a luxury cross-over. 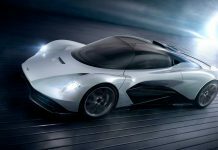 We are also expecting deliveries to start with the Aston Martin Valkyrie. 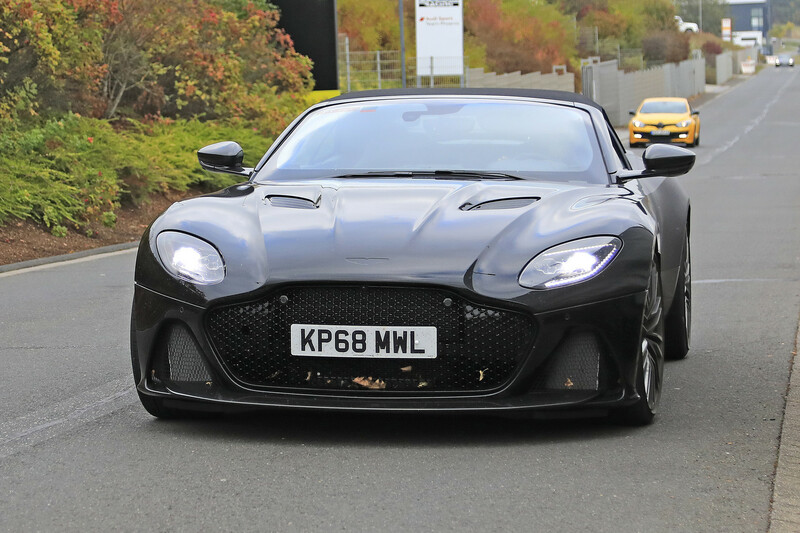 We could also see a Volante version of the new Vantage, however, the rumour mill has been quiet recently on this front!